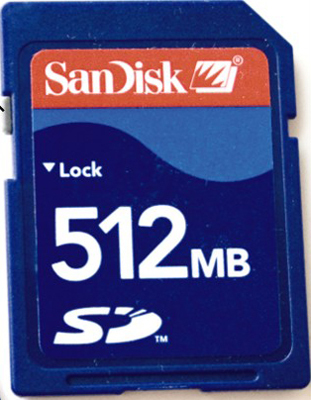 A digital camera’s memory card is key for capturing images. 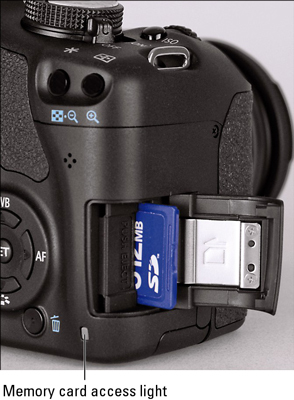 Read on for tips regarding the memory card for your Canon Rebel T1i/500D, including which card to buy, and how to insert, remove, and lock the memory card. 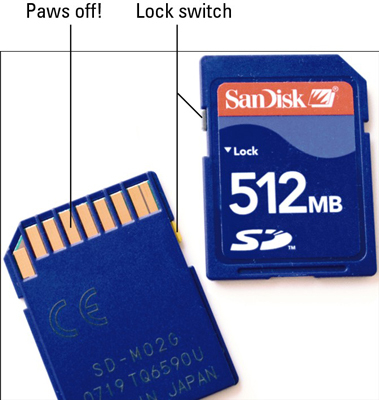 The Canon Rebel T1i/500D uses a specific type of memory card called an SD card (for Secure Digital), shown here. You can also use the new, high-capacity Secure Digital cards, which are labeled SDHC, as well as Eye-Fi SD cards, which enable you to send pictures to your computer over a wireless network.